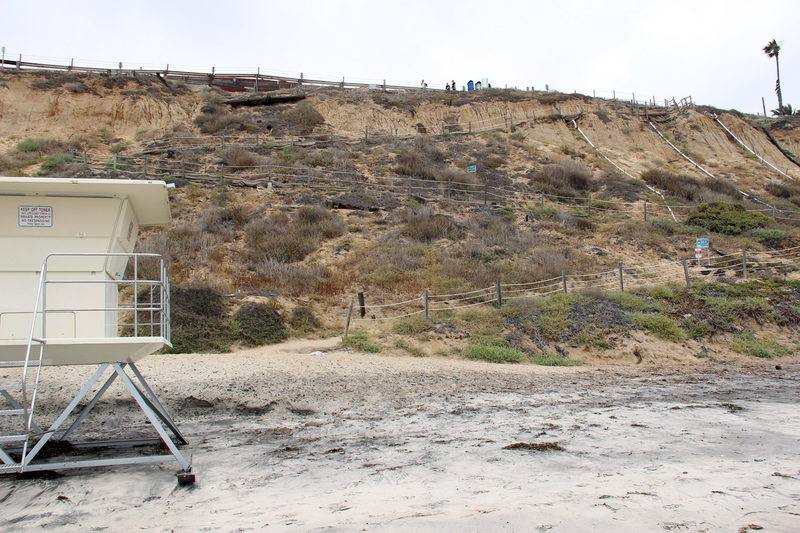 At our priority planning session this week, the City Council dug deeply into the costs behind Encinitas’ largest capital projects to make sure that everyone on the Council is aware of the project details and remains supportive of the direction we’re headed. I’ve already scheduled the next in-depth planning meeting for January so that we ensure we remain on track. 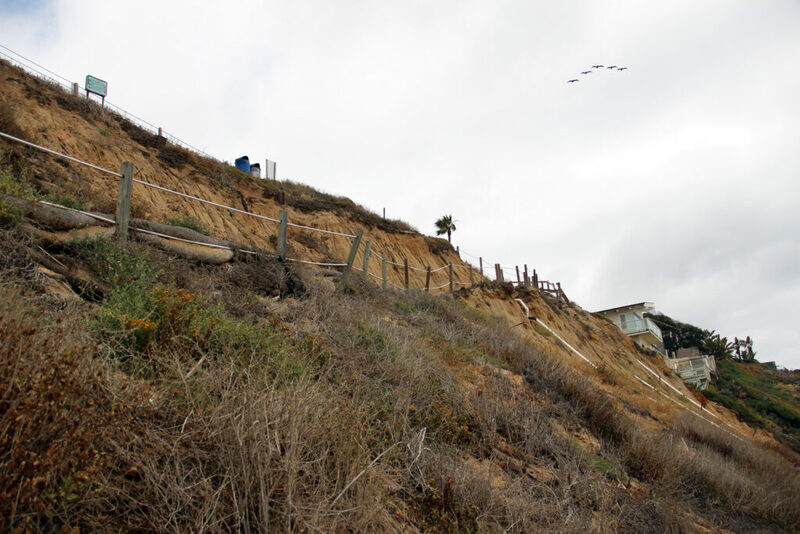 This bluff improvement project saw years of effort spent trying to get the Coastal Commission to sign off on what was initially our preferred design, using erodible “soil cement” to buttress the bottom of the bluff and leaving the top alone. But the Commission staff steadfastly refused to support that plan, based on their opposition to seawalls and “armoring the coast.” The Coastal Commission has policies that are designed to allow erosion to naturally re-nourish beaches. 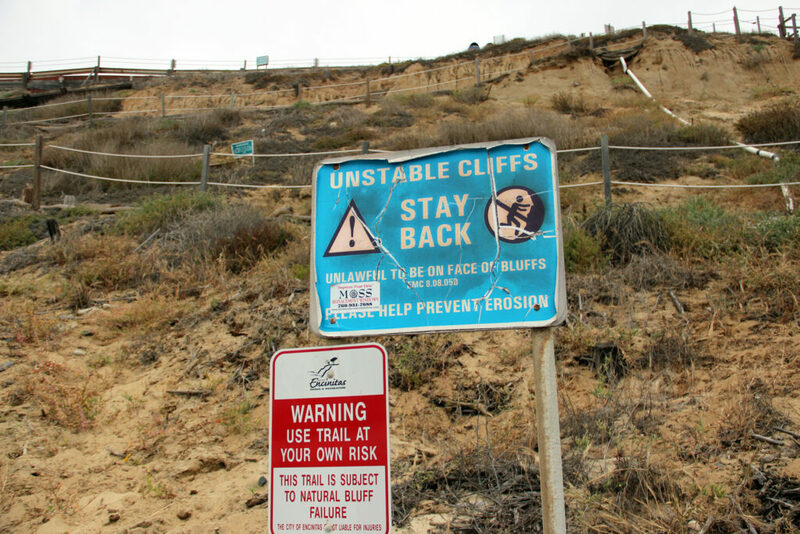 The project we’re now pursuing will build a staircase like the one at Swami’s Beach and rebuild the top parking lot, setting it further away from the bluff, which will allow the bluff to naturally erode. This project is long-awaited, shovel-ready, and most importantly, necessary for public safety. I’m glad that all councilmembers remain committed to this effort. • The Cardiff railroad undercrossing at or near Verdi is estimated to cost $7.5 million and its completion relies on the city getting $5 million in grants. The very soonest this project could be completed is 2021, if we are awarded a grant. • Quieting the train horns from E Street to Leucadia Blvd. is estimated to cost $12 million. We haven’t set any money aside and we don’t have extra capital for this large project. We believe we could possibly get $6 million in grants. The regulatory approval process will be long and complex and we are working on it. • Improving Birmingham Drive in Cardiff from San Elijo Ave to the I-5 freeway, including undergrounding the utility lines, installing a roundabout at Newcastle, standardizing the sidewalk and adding bike lanes and trees is estimated to cost about $9 million, and we have less than $1 million set aside for that project. We could eliminate the undergrounding part and save several million dollars, but that doesn’t seem to be the direction that generates consensus. • Leucadia Streetscape, a road improvement project more than two miles long which goes from Encinitas Blvd. to La Costa Ave and includes six roundabouts, bike lanes, sidewalks, new trees and parking pods in the rail corridor, is estimated to cost about $30 million and we have $10 million set aside. 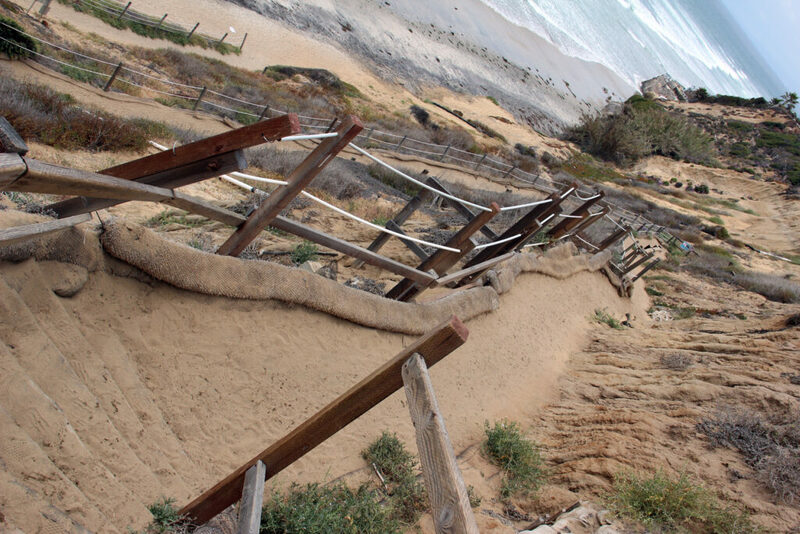 The project is in the midst of regulatory complexities as we attempt to secure approval by the Coastal Commission, plus there’s a lawsuit challenging it under CEQUA environmental laws. We are pursuing grants for this active transportation project. Encinitas has been able to secure grants for projects – for instance, we receved a major grant from the state Department of Transportaton to fund the pedestrian underpass beneath the tracks at El Portal in Leucadia. It’s planned for next year. But we’re hamstrung by our city’s lack of a state-approved housing plan, which takes us out of the running for certain grant categories. When we have a housing element our grant prospects will improve. In the past, Encinitas has used financing to initially pay for large capital projects, such as the Encinitas Community Park, the Encinitas Library, and the Senior & Community Center. We have a low bonded debt ratio, which is the amount of interest we pay on loans compared to our annual operating revenue. Interest rates remain at what are considered historic lows. So we also authorized the City Manager to return to the City Council with an appropriate financing instrument to help us complete some of these priority projects, specifically Leucadia Streetscape. We anticipate securing financing for no more than a total of $25-$30 million. Let’s be clear – maintaining Encinitas’ excellent AAA/AA+ credit rating is the highest priority for all of us in city government. And of course, we’ll also continue funding all of the ongoing operational aspects of the city’s business, like road paving, park maintenance and library and community center hours. But wait, there’s more! We remain on track to create a seventh mini-fire station in downtown Leucadia near La Costa Ave. that will reduce response times in that area. We’re building several new pedestrian trails, including paths on El Camino Del Norte, Rancho Santa Fe Road and Adams Run. We’ll also improve many of our existing biking and walking routes, which are the improvements and construction projects you’re seeing around town. And essential staffing for our safety agencies, such as the Sheriff, Fire and Marine Safety departments, remains steady. New Encinitas summer fun brochure! 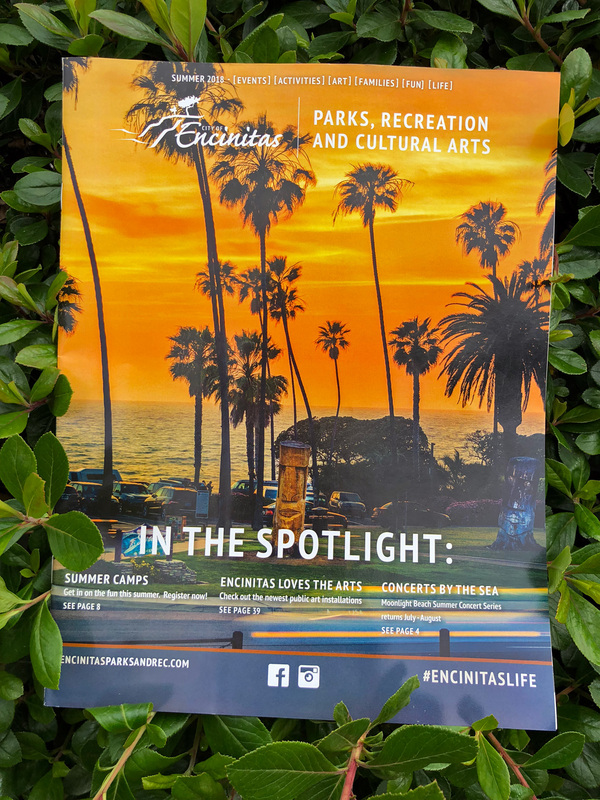 The Encinitas Parks, Recreation and Cultural Arts brochure summer issue is out now! The brand new issue of the quarterly brochure features brand new summer classes, a handy summer camp guide, upcoming summer and fall events, sports, new art in Encinitas, arts and music programs and events and much more. You can read yours online here. The sites we’ve selected for upzoning to provide more accessibly-priced housing in Encinitas are displayed on the map above (click to enlarge). They are scattered throughout the city and not concentrated in one particular community. Next week at our City Council meeting, we’re back at it as we discuss the design standards for the housing plan. 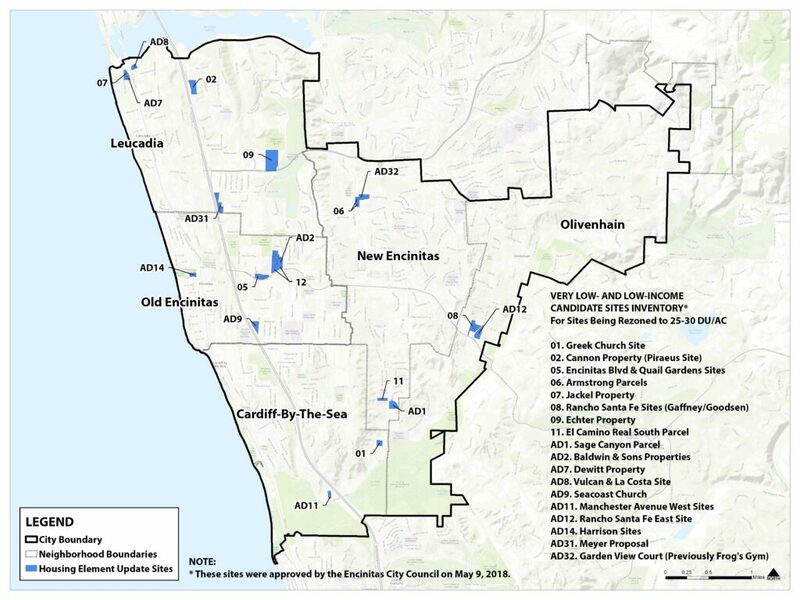 This article, the Human Dynamic of Affordable Housing from the Coast News, is a particularly good exploration of Encinitas’ residents who need affordable housing, the state of the law, and our current situation. 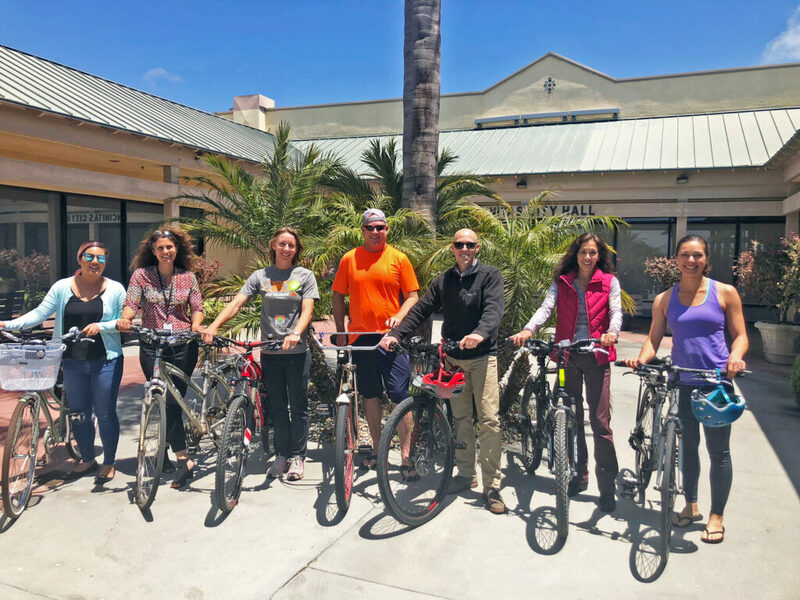 Many of us at City Hall were excited to participate in iCommute San Diego’s Bike To Work Day last week. Thanks to SANDAG for organizing this great annual event! Here’s a nifty informative article from the Coast News about it. Here’s another good local story from the Coast News comparing different North County cities’ approach to the Hep. A outbreak. Finally, please don’t forget to vote in June 5th’s primary election. Many important issues and offices are at stake. The last day to register for a vote-by-mail ballot is this Monday, May 21, or you can register and vote at the same time afterward at the Registrar of Voters office. Learn more about registration here.